Other members of the panel were Dominique Brossard, an academic of science communication from the University of Wisconsin-Madison; Euan McKay, a communicator from the University of Tokyo; and Nicholas St. Fleur, journalist at The New York Times. Along the way, we were largely sidetracked by a discussion about accuracy and hype in press releases. Too much has been written and said about this subject so I won’t pick that up here. This meant that some of the more interesting points were overlooked. The need for public acceptance and support for research in order that it continue is not something we can take for granted. And in a changing media landscape, PIOs use multiple channels, employing a range of skills to communicate with broad audiences. I was keen to hear, for example, how some university PIOs are working to build trust with local communities. There is a rich dialogue to be had about how our roles and focus have shifted in recent years. While many are broadening their institutes’ engagement activities and working on local relationships, other institutions are paying more attention to their national and international reputations. Are there lessons we can share as a community of professionals from different cultures and backgrounds? Euan McKay works at the University of Tokyo, which faced a specific challenge after the events leading to the meltdown of the Fukushima power station following the 2011 tsunami. Science and scientists faced reduced trust from the public and they had work to rebuild that. The University of Tokyo engaged in public dialogue in addition to using media and social media. This multi-channel approach is one that many of us are familiar with. I believe our jobs are enriched by being able to listen. Of course, nothing will gain you the reach of an article in a national newspaper, and there are times when we have a responsibility to get new research out as far and wide as we can because of its implications for the public. When I worked at a national cancer charity, for example, we had an obligation to widely disseminate information to reach patients. While this is still true for such organizations, effort is now made also to listen and involve patients in research decisions and processes and this calls for different kinds of outreach. Much of the time what we are dealing with isn’t going to set alight the front pages, but will intrigue other researchers, the interested lay public and local communities. Instead of aiming to get brief news flashes through press releases, many of us try to build a series of stories over time, listen to audience responses as we go. We support academics in their direct communication using social media or in talks, public dialogue and engagement activities. Building longer and stronger narratives is so crucial when building trust, whether we are dispelling misinformation, as many PIOs working with medical or health information have to do, or rebuilding bridges as scientists and PIOs in Japan did after the tragic events around Fukushima. We have so many opportunities to engage and listen, and I would like to hear from other PIOs who are doing just this to continue the conversation we started in Austin. None of this would be possible, of course, if we couldn’t first earn the trust of scientists. Whether our focus is on their direct engagement with the nearby public, or in holding their hand through the media maze, the first step for building trust is often with our own academics. How do you earn trust with the scientists you work with and with the wider community? Join us in a discussion on the EurekAlert! PIO Forum on Trellis. 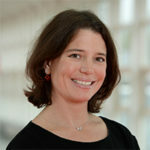 Ruth Francis has vast experience in the communications and policy arena; from running highly successful teams at Nature, Springer, BioMed Central and F1000, to coordinating and speaking on panels on subjects including science communication and evidence based policy making. She has written for Nature, and appeared on the Guardian Science podcast. Ruth has worked in the press offices at King’s College London and at Cancer Research UK, and run media training courses in universities around the world. She has a BA Hons. in English from the University of Leeds.